Read this monthly newsletter to learn about the latest developments, events and future plans in all things OpenNebula and keep up to date with the state of your favorite virtualization manager. This newsletter suffered a minor delay due to the summer holiday break, we hope you understand! The OpenNebulaConf 2016 is around the corner! Until the 15th of this month there is still a chance to register with the early bird price. The final agenda has already been published. You may also be interested in the sponsorship opportunities. Also vOneCloud, the appliance encapsulating an OpenNebula tailored for vCenter infrastructures, has a new version as of this past month, namely version 2.0.1. vOneCloud 2.0.1 is based in OpenNebula 5.0.2 and as such it includes all the bug fixes and functionalities introduced in 5.0.2. 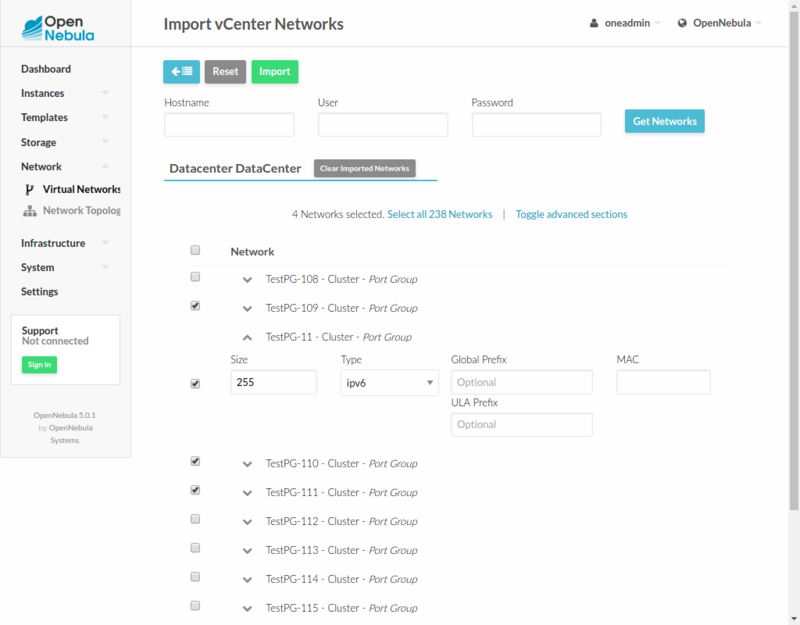 New functionality includes resize capabilities for the Virtual Router (VR), as well as a new VR Template instantiate action and the possibility to modify cardinality of the Virtual Router HA, Sunstone labels now have colors, search users by password field, implement oneuser login in Sunstone and a service create dialog in the admin view. You are welcome to try vOneCloud out, it is fully open source and zero intrusive! We are proud to count as members of the OpenNebula community members of useful software that uses the advanced features of OpenNebula to offer top notch products, like the one developed by folks at UDS to manage VDIs. Also proud to learn that new software being released to resource centers management support OpenNebula as part of their default distribution, like the INDIGO project does. It is also nice to learn how OpenNebula can be integrated with other technologies to create better solutions, like with Vagrant as known by Florian. Having people that knows the project inside out and are willing to defend it is a good motivation to keep up with the excellence of the project. Thanks Nodeweavers! Outstanding to have people also willing to create material around OpenNebula knowledge, check this out. And being included in articles named Five open source cloud tools admins need to know makes our faces red with blush (the good kind!). Big thumbs up to all the maintainers of the OpenNebula ecosystem for their new releases (during August, no less!). New versions of Net::OpenNebula Perl module, Test Kitchen Driver for Opennebula, the ruby gem to clean forgotten iptables rules, driver for creating OpenNebula instances in Chef Provisioning and the OpenNebula provider for Vagrant where releases this last month. The next OpenNebula Conference in Barcelona in October 2016 will take place 24 to 26 of October. Check out the agenda featuring interesting keynotes from industry leaders and different community sessions sharing OpenNebula experiences, as well as workshops designed to learn about different OpenNebula aspects. If you are willing to attend, there is still a chance to get early bird prices until the 15th of September. Learn about the different sponsorship opportunities in the Conference web page. Current sponsors of the OpenNebulaConf 2016 include StorPool and LINBIT as Platinum Sponsor, NodeWeaver as Gold Sponsor and Terradue and Todo En Cloud as Silver Sponsor. To get a feel of what the OpenNebula Conference is about, check last year’s material: (talks, slides,pictures). 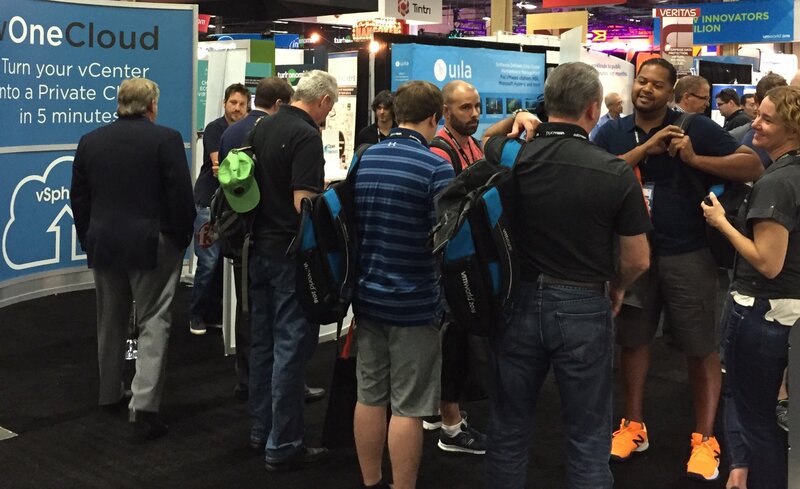 This last month member of the team travelled to fabulous Las Vegas to attend the VMworld 2016 US where vOneCloud had its own booth in the Mandalay Bay Convention Center. A very positive experience with lots of interest on behalf of the attendees that saw first hand how vOneCloud can be used to easily provision vCenter resources to end users through a slick self-service portal. The OpenNebula team will be present in the VMworld 2016 Europe, October 17 – 20, Barcelona (Fira Barcelona Gran Via). We will be featuring also a vOneCloud booth, so come round to see a live demo if you are in town, or to ask anything about all things OpenNebula. Remember that you can see slides and resources from past events in our Events page. We have also created a Slideshare account where you can see the slides from some of our recent presentations. vOneCloud 2.0.1 released! OpenNebula 5.2 ‘Excession’ Beta is Out!